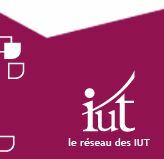 To the University Institute of Technology of Belfort-Montbéliard, the trainings are distributed on three sites : two in Belfort and one to Montbéliard. This distribution finds its origin in the history of the establishment : in 1969, the first departments open on the site "Engel Gros" in Belfort, near the big local industrial companies. In 1991 in Montbéliard, the campus of "Portes du Jura" is born and it is quite naturally that the IUT implants four of its trainings there, in the side of the other constituents of the Franche-Comté's University. Today, the Central Administration with the common services (reception, accounting, communication, techhnical services...) is situated on the site "Engel Gros" in Belfort. Every department of training has specific premises (classrooms, laboratories, workshops) and a secretary for the management of the students.